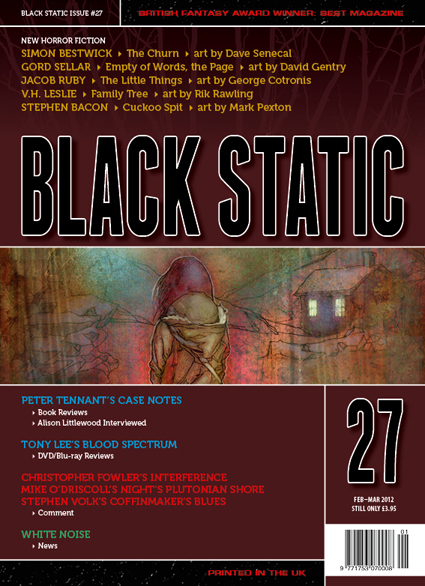 Just heard that issue 27 of Black Static will begin shipping in the next week or so. It features my story CUCKOO SPIT, alongside tales by such writers as Simon Bestwick, Gord Sellar, Jacob Ruby and VH Leslie. There will be the usual brilliant columns by Stephen Volk, Mike O’Driscoll and Christopher Fowler, and reviews and interviews by Peter Tennant and Tony Lee. 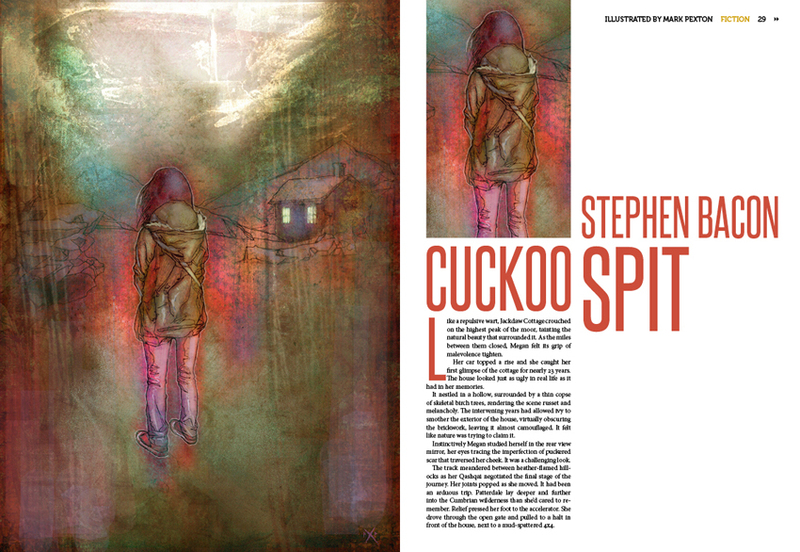 The artwork by Mark Pexton that accompanies my story is quite brilliant, and also features on the cover. Below is an early prelim of the art. You can purchase copies or subscribe to Black Static here. There are also options to take out a lifetime subscription. And DF Lewis calls your story “An atmospheric, well-stylised, often effectively poetic Cumbrian tale of feral concupiscence”, so congrats! Thanks, Ray (and Des, for real-time reviewing it). Yeah, it’s the best story about feral concupiscence I’ve ever read… Seriously, it’s a cracking story, weird and disturbing which left me unsettled. May need to re-read it to work out exactly why I’m unsettled..!